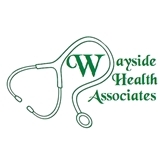 Wayside Health Associates (Sudbury) - Book Appointment Online! We are a busy full-time general internal medicine practice and are pleased to offer our services to patients who do not have a relationship with a primary care physician or wish to establish one. IMPORTANT NOTICE: In order to provide high-quality care to our existing patients, please note that on line appointments that you make through ZocDoc will NOT be considered as confirmed until you hear back from us. Please ensure that you have furnished adequate contact information. We do NOT prescribe controlled substances (narcotics, stimulants, sleep aids, etc.) to patients with whom we do not have an ongoing relationship.